On Saturday October 25th, Simple K 12 will be hosting a free Google day of learning designed to provide educators with The Best Google Tips for Your Classroom. Educators can enjoy a series of webinars throughout the day, starting at 10 AM EDT. 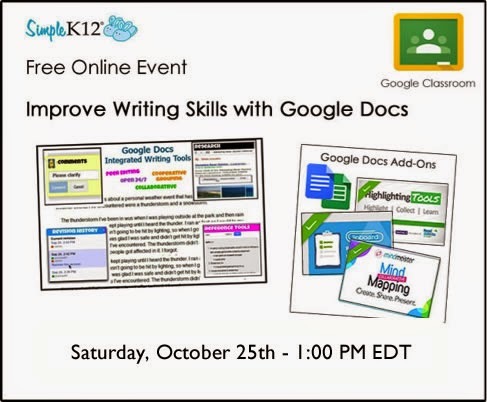 I am looking forward to hosting Improve Writing Skills Using Digital Writing and Google Docs at 1:00 PM. The session is designed to help educators learn to use Google Docs to thoughtfully incorporate digital writing into the curriculum. Would you like to improve your students’ writing skills and help them bridge the gap between writing in school and writing in the real world? 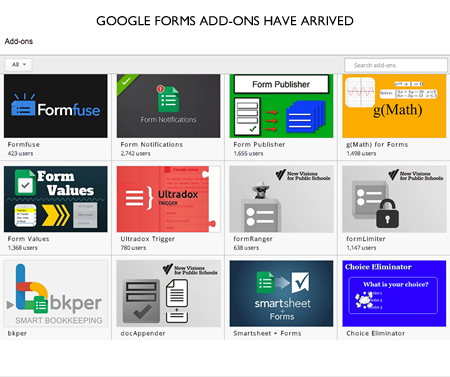 One way of doing so is by using digital writing and Google Docs, the documents editor available in Google Drive. Since Google Docs is collaborative and available 24/7, students using Google Docs often write more frequently and better than when given traditional paper and pencil writing tasks. Join Susan Oxnevad as she shows how to use Google Docs to thoughtfully incorporate digital writing into the curriculum. She will explain how to fully utilize the latest Google Docs features, such as integrated reference tools and collaborative revision tools to help you and your students embrace digital writing. Learn more about the webinars offered throughout the day and register at Simple K 12. Today we are celebrating Connected Educator month at ThingLink by introducing our readers to one or our Expert Educators, Jodie Johnston. 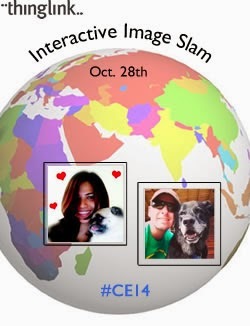 Jodie is a Curriculum Technology Specialist from Overland Park, Kansas who specializes in Web 2.0 Tools. Jodie is also the Edmodo Administrator in her school district and an Edmodo Certified Trainer. Meet Jodie Johnston’s digital self and learn more about her on the ThingLink Blog. Live at 8:00PM EDT or SignUp to receive the archive. Tackk is a blank canvas that allows anyone to easily publish multimedia web content on a simple page. 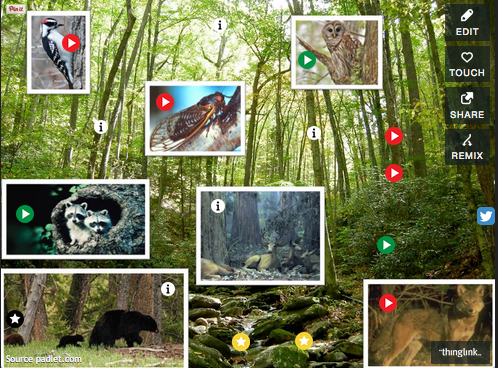 Tackk supports live, interactive ThingLink images, which are embedded into Tackk simply by copying and pasting the share url. A big bonus is the text editing feature in Tackk, which provides users with a handy way to label a ThingLink. 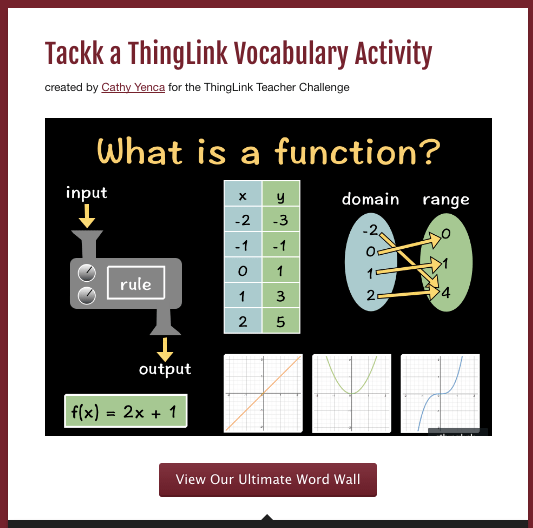 Cathy Yenca, @MathyCathy, created the ThingLink vocabulary activity pictured below to teach students about functions as part of the ThingLink Teacher Challenge last summer. I popped the link from Cathy’s terrific ThingLink into Tackk and typed the headline you see below. Then I created a button leading to more resources. Voila! Today I’m excited to be participating in a MOOC, or Massive Open Online Course that is free. Today’s MOOC is part of Chris Long’s University of California Irvine’s course, Advanced Instructional Strategies in the Virtual Classroom. I will be sharing some powerful strategies for increasing students’ engagement in learning using ThingLink and ThingLink for Video. This MOOC, facilitated by Chris Long @clonghb, has a course enrollment of over 4,700 educators. Participants are primarily teachers, pre-service teacher or other educational specialists in K12 and higher ed. The demographics of the course show a strong international diversity. In addition to live, online learning opportunities, participants collaborate through online discussion forums and Twitter chats. They complete assignments and take online quizzes. 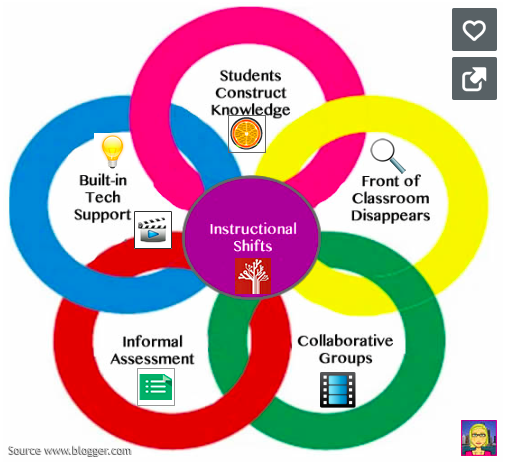 This type of tech fueled learning environment presents powerful possibilities for connected educators. Anyone can drop in on the Google+ Hangout or watch the archive. 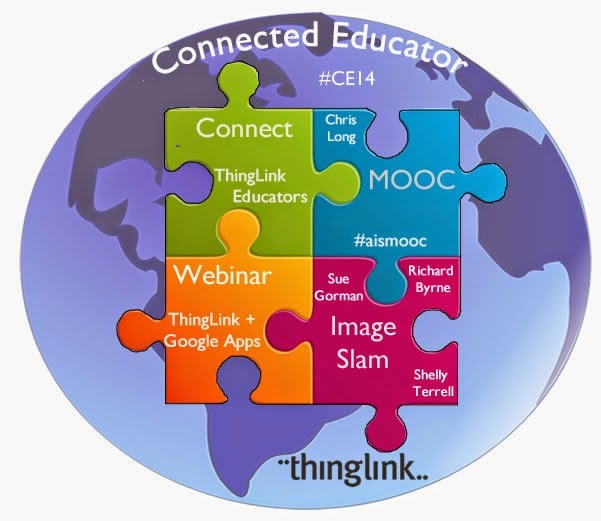 Learn more about the MOOC and sign up for Power Up Your Pedagogy with ThingLink on Google+. Live @ 7:00 PM EDT. Convert to your time zone. ThingLink is a powerful tool for making connections and we are pleased to announce an exciting lineup of events to celebrate Connected Educator month. The events are designed to grow and strengthen our community of educators through the sharing of knowledge and ideas. Explore this interactive image to learn more about the events. Read more on the ThingLink Blog.